The GIW® Minerals LSA-S offers all-metal pumps with proven, long-wearing designs. The GIW® Minerals MHD Slurry Pumps feature high heads and high flows. The GIW® Minerals MDX pump, the heart of the mill circuit, tackles the most extreme duty conditions. 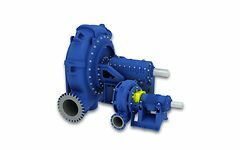 The GIW® Minerals TBC & WBC pumps are constructed of abrasion-resistant white & ductile irons to match any duty requirement.